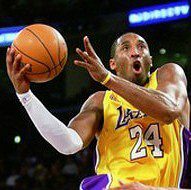 LOS ANGLES (Sporting Alert) — Los Angeles Lakers‘ Kobe Bryant took a step closer to returning from injury, following reports that the All-Star guard practiced on Saturday. Bryant, who underwent surgery for a torn Achilles in April, had been out for seven months doing rehab, but practiced for the first time on Saturday, Yahoo Sports is reporting. Reports have suggested that Bryant has been recovering well from his injury and the player himself told NBA TV‘s Rick Fox that he would have played on Friday in the 89-86 defeat to the Memphis Grizzlies, had it been a playoff game. His comments have led many to believe that the Lakers star could be inching closer to returning to the lineup, although he is still looking at a returning date in December.